Belarus intends to enhance military and technical cooperation with China, said President of Belarus Alexander Lukashenko as he met with Chief of the General Armament Department of the People’s Liberation Army of China General Chang Wanquan on May 18. According to the President, Belarus and China have developed good relations. “We have gone a rather long way in our relations. This meeting is of great importance as we are going to engage in a very close cooperation with the Chinese People’s Liberation Army, with the senior officials of the army,” he said. In his words, the People’s Republic of China has reached a high level of development not only in the civil economy, but also in the military and technical area. According to the President, China might be interested in some promising Belarus' projects in many areas. “However, Belarus needs support to develop and promote these projects. We really hope for Chinese support here,” the head of state underlined. At the meeting the President suggested discussing the main areas of the Belarus-China military and technical cooperation, including most challenging issues. General Chang Wanquan, in turn, thanked the Belarusian President for the meeting and delivered “a warm greeting from Chinese President Hu Jintao”. According to him, this meeting attests to a great significance that Belarus attaches to the military and technical cooperation with China and expressed confidence about the further development of this process. Products of the defence sector of the Belarusian economy are internationally competitive, Prime Minister of Belarus Sergei Sidorsky said when opening MILEX-2009 in Minsk. The exhibition presents the armaments, military and special-purpose machines based on the latest information and telecommunication technologies including automation equipment, radio communications system, radar and aerospace equipment, precision weapons information support and others. The participants of MILEX 2009 are 145 exhibitors. Of them are 110 from Belarus, 29 from Russia, Ukraine and Armenia, delegations from 26 more states including China, Sudan, Turkey, Bulgaria, Poland, Egypt, Libya, India, the UAE, Iran, Peru and others. The programme of the exhibition embraces the 4th international scientific conference to highlight the issues of defence and security, creation of conditions for further development of military and technical cooperation and integration of states in the area. Attending the opening ceremony of the MILEX 2009 exhibition was State Secretary of the Security Council of Belarus Yuri Zhadobin, State Secretary of the Belarus-Russia Union State Pavel Borodin, CSTO Secretary General Nikolai Bordyuzha, the Defense Ministers of Ukraine and Sudan, heads of the general staffs of Azerbaijan and the UAE, Chief of the General Armament Department of the People’s Liberation Army of China General Chang Wanquan, representatives of other military organisations. Secretary of State of the Union State Pavel Borodin is confident that the supply of air defence missile systems S-400 and missile systems Iskander to Belarus will be approved. He made the relevant statement before the V international arms and materiel expo MILEX 2009 opened in Minsk on May 19. “There are no problems concerning either Iskander or S-400s. 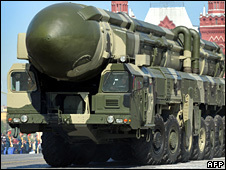 Belarus needs the armaments to protect our common space — the Union State,” said Pavel Borodin. In turn, Secretary General of the Collective Security Treaty Organisation (CSTO) Nikolai Bordiuzha also remarked that he is positive about the supply of Iskanders and S-400s to Belarus. Also, Belarus and Russia are in negotiations about supplying air defence missile systems Tor and Buk to Belarus, Rosoboronexport Director General Anatoly Isaikin told media on May 19. Negotiations are in progress, but it is rather a lengthy process, because there are many technical things, which should be specified for every batch of the armaments supplied, said Anatoly Isaikin. He specified that technical compliance of these systems with other air defence solutions has to be verified. According to the Rosoboronexport Director General, there are only technical things to address, but the process can take months or years. Matters concerning the preparation for the forthcoming session of the CSTO Collective Security Council were discussed at a meeting of President of Belarus Alexander Lukashenko and CSTO Secretary General Nikolai Bordiuzha on May 18, the press service of the President of Belarus told BelTA. The session of the CSTO Collective Security Council is supposed to be held at the level of heads of state in Moscow on June 14. Belarus will take over the CSTO presidency. Alexander Lukashenko expressed hope that the level of the CSTO activity will increase during Belarus’ presidency in the organisation. “The organisation’s activity has always been higher every time Belarus presided in the CSTO. We would like to see this revitalization during the forthcoming presidency of Belarus, too,” said the Belarusian head of state. Speaking about Belarus’ stance, the President emphasized that the country is prepared to actively cooperate within the CSTO “as much as partners are prepared for it”. “We adhere to ‘more matter with less art’ approach,” stressed Alexander Lukashenko. “The world is not getting calmer, especially due to the crisis. The security of every state and collective security are the most important factors. Even big countries are having a hard time ensuring their security on their own. Honest cooperation within the CSTO would make everyone feel calmer,” remarked the President. Belarus intends to develop cooperation in various areas, including military and technical, defence and others. According to Alexander Lukashenko, today’s meeting with the CSTO Secretary General is very important for the sake of preparing for the forthcoming Moscow session and Belarus’ presidency well. In turn, Nikolai Bordiuzha believes that during Belarus’ presidency the CSTO will determine specific priority avenues. “We hope that the period will be active because the CSTO history indicates that Belarus’ presidency multiplies efforts of charter bodies, many initiatives and projects emerge,” he remarked. On June 14 the heads of state are supposed to discuss a large number of things regarding the formation of the CSTO military component, coordination of foreign policy efforts, the CSTO cooperation with some international institutions. In addition, the Moscow session is supposed to approve the composition of the Collective Rapid Response Forces (CRRF). A relevant legal act regulating the CRRF operation has been prepared. The CRRF is supposed to include military units, as a rule, special mission brigades to be sent by the member-states. Apart from that, the CRRF will include special mission forces of security agencies, ministries of internal affairs and emergencies. Nikolai Bordiuzha remarked, once the CRRF are operational, the CSTO will be able to respond to any kinds of emergencies in any CSTO member-state and to genuinely protect the sovereignty and territorial integrity of the nations. The final way of Belarus’ participation in the Collective Rapid Response Forces will be determined at the Moscow forum. Belarus spearheads the fight against slave trade on the international scale, said Joy Ngozi Ezeilo, United Nations Special Rapporteur on trafficking in persons, especially women and children, at a meeting with members of the House of Representatives of the National Assembly of Belarus on May 19. Joy Ngozi Ezeilo noted, the ongoing globalisation processes have caused growing crime related to slave trade. It is a huge market with supply and demand. In her opinion, no country can tackle the slave trade alone. Common efforts are required. Parliamentarians play a significant role in countering slave trade, said the Special Rapporteur. Chairman of the National Security Commission of the House of Representatives Viktor Guminsky outlined several problems regarding combining international efforts in this area. In particular, Belarus had contacted the Council of Europe with an initiative whether the country can accede to the 2005 Convention on Action Against Trafficking in Human Beings. “Unfortunately, so far we cannot get the message through,” said the MP. In addition, Belarus had contacted the Council of Europe with an initiative to accede to several international treaties on fight against crime. It would help Belarus channel more efforts into countering organised crime, granting access to a database of European states. “We couldn’t get this message through either. It should not be so because the fight against slave trade should be a common effort. Only together we can achieve desired results,” stated Viktor Guminsky. He asked Joy Ngozi Ezeilo to assist Belarus with resolving these issues. The parliamentarian remarked that in the post-Soviet space Belarus was one of the first countries to start working actively fighting slave trade. In view of the global situation Belarus took timely and necessary measures to counteract slave trade, labour and social exploitation, illegal migration. These measures are meant to prevent violations in these areas, to step up administrative and criminal responsibility. Requirements for foreign employment procedures for Belarus citizens have been stepped up. Modelling business has been licensed. Belarus is implementing a state programme to counteract slave trade, illegal migration in 2008-2010, stated Viktor Guminsky. 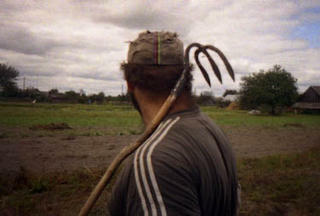 He added that the fight against slave trade in Belarus has become one of the priorities in the international arena. The MP believes that the visit of the Special Rapporteur on trafficking in persons to Belarus will contribute to increasing the mutual understanding in the United Nations Organisation. The professionalism of Belarusian pediatric heart surgeons rivals that of European specialists, BelTA learnt from Dr. William M. Novick, Founder and Medical Director of the International Children's Heart Foundation (US). “Belarus has excellent pediatric heart surgeons. Their professional level reached that of European doctors long ago,” he said. The challenge of pediatric cardiac surgeons is to remove congenital heart defects in babies to prevent a disease from developing into their adulthood, William Novick said. Over 13 years William Novick has been taking volunteer medical teams to Belarus. To date, the International Children's Heart Foundation has made seven trips to Belarus and operated on thousands of children with congenital heart defects. This time the international medical team is to stay in Minsk till May 30. The Children’s Heart charitable act will be held in the Children’s Heart Surgery Centre affiliated with the Cardiology Centre. Foreign surgeons together with Belarusian medical professionals will provide a series of consultations and perform operations on kids with congenital heart defects. The programme Children’s Heart has been run by the Belarusian Children’s Fund for about 18 years already. The fund helps children with congenital heart defects to receive consultations, surgeries, follow-up care and rehabilitation. Over 200 Belarusian children received medical treatment abroad. Beginning 1996, William Novick and his international medical team has been coming to Belarus upon the invitation of the Belarusian Children’s Fund and the Health Ministry of Belarus. Dr. Novick has examined and operated Belarusian children with most complicated heart and vascular diseases. Many surgeries were performed in Belarus for the first time. All in all, 420 children have been operated, over 1,600 have received consultations. Some Belarusian specialists have been working in the team led by Dr. Novick for two years already. They helped children in China, Ukraine and Pakistan. In general, the programme of the fund is aimed to lower children’s mortality rate and improve the life quality of children suffering from congenital heart defects. The surgeries for such children are free of charge, though abroad they cost about $20-100 thousand. Director General of the National Museum of France Louvre Henri Loyrette is expected to visit Belarus on June 17, BelTA learnt from Vladimir Prokoptsov, Director of the National Art Museum of Belarus. Henri Loyrette is supposed to arrive in Minsk in order to organise an exhibition of a painting from the French museum collection. 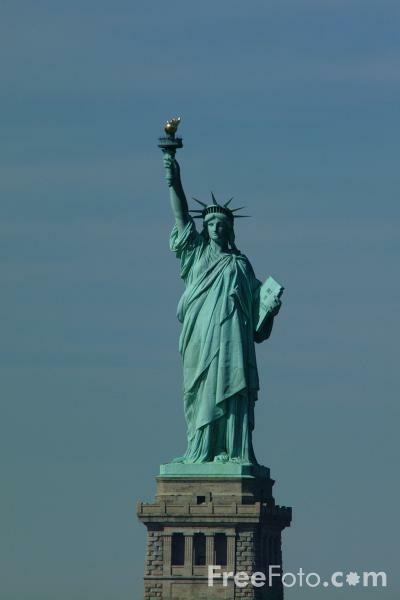 Vladimir Prokoptsov said he hopes it will be one of the world’s most famous masterpieces. Vladimir Prokoptsov remarked, Henri Loyrette intends to get familiar with reserves of the Belarusian museum. “We plan to discuss exchange of museum technologies and exhibitions,” he underscored. In the near future an exhibition of Belarusian icons may take place in Louvre. There are also plans to organise an exhibition of paintings by Ivan Khrutsky to mark his 200th birthday. The event will be celebrated in 2010 within the UNESCO framework. The Days of Swedish Culture will be held in Belarus from May 20 to June 17. The event is timed to the National Holiday of Sweden – the Flag Day, BelTA learnt from the Swedish Embassy in Belarus. The cultural programme of the Days of Swedish Culture in Belarus will include special literature, music and movie programmes. The programme of the Swedish-Belarusian literary days includes a presentation of the first Belarusian-language book “Thirty Texts” by famous artist, poet, playwright, prose writer, journalist and translator Dmitry Plaks. On May 20, the author will meet with his readers in the Maxim Bogdanovich Literary Museum. On May 21-23, Minsk and Pinsk will host Belarusian-Swedish literary parties and musicales. A youth poetry contest will be held in Pinsk. A literary party will be organized in Baranovichi. Attending those events will be Belarusian and Swedish writers and poets. The musical part of the Days of Swedish Culture includes a concert of Swedish saxophonist Mats Gustafsson (free jazz). The concert will be given in the Belarus State Philharmonic on June 5. Famous Belarusian jazz saxophonist Pavel Arkelyan and The Outsiders Band will take part in the concert as well. The festival of the modern Swedish movie will be held in Minsk and Mogilev on June 8-17. The Days of Swedish Culture are held by the Swedish Embassy in Belarus under the auspices of the Swedish Institute and the Sweden State Culture Council jointly with their Belarusian partners – the Belarusian Culture Ministry, the Belarus State Philharmonic, the Tsentralny Movie Theater, the Mogilev State Kinovideoprokat Company, the Mirovich Theater Studio, the Pinsk Town Centre of Culture, the Polesie Theater of Drama (Pinsk) and the Baranovichi Central Library. Foreign companies are showing a growing interest in Belarus, Industry Minister of Belarus Anatoly Rusetsky told reporters. “We have felt that the interest on the part of foreign investors in Belarus has increased. We hold negotiations with more big companies, who have never been in Belarus before, on their participation in joint business, our investment projects,” the minister said. There are less available finances during this time of the crisis. “Yet, all understand that the CIS markets are quite large, therefore the activity has picked up significantly. No western investor has refused from implementing projects with the ministry,” Anatoly Rusetsky added. Anatoly Rusetsky took note of the joint project which is being carried out at the Brest Electric-Bulb Making Plant. the new project is aimed at producing high quality products which are in demand on foreign markets. Foreign investors pay special attention to the Belarusian Autoworks (BelAZ trademark). The Industry Ministry is having talks with potential partners. There are talks on implementing projects at the Minsk Automobile Plant with German companies. The minister would not reveal the name of the company, he just noted: “We hope for an alliance”. The Industry Ministry has decided to launch the production of various modifications of cars at the Unison Company. At present, the issue of financing is being discussed now. All in all, the cost of the project is estimated at $60 million. The new plant will produce around 50,000 cars a year. The trade between Belarus and Russia continues to decline, said Prime Minister of Belarus Sergei Sidorsky as he met with Union State Secretary Pavel Borodin on May 19. The meeting was held in the run-up to the session of the Union State Council of Ministers that is to take place in Minsk on May 28. The trade plummeted 40% and continues to fall, the Premier said. “It does not look like the agreements of the previous session of the Council of Ministers are being fulfilled. It arouses concern,” Sergei Sidorsky said. The Belarusian side confirms one more time that it has not imposed any restrictions on the commodity procurement, even in the conditions of the global financial crisis. “We are doing our best to make our market as open as possible for the products of the neighbouring states,” the Prime Minister said. The Customs Union offers great opportunities for Belarus and Russia. At present, almost 98% of the customs regulations and customs tariffs of Belarus and Russia has been unified. “Last week our government worked out ways to unify customs tariffs as much as possible in order to advance to the external border of the Customs Union by January 1, 2010,” the Prime Minister said. The session of the Union State Council of Ministers will also touch upon machinery deliveries on leasing terms. Belarus invites Russia to step up cooperation in this area. The session of the Union State government plans to discuss development of nanotechnologies in Belarus and Russia. “During this time of crisis we have not curtailed innovation programmes,” Sergei Sidorsky said. Sergei Sidorsky reminded about the instruction of the Chairman of the Supreme State Council of the Union State Alexander Lukashenko to give more powers to the Permanent Committee and to involve it in the decision making of the two countries. State Secretary of the Union State Pavel Borodin believes that the relations between Belarus and Russia “need to be raised to the union level”. “We need to build union relations rather than interagency or corporate relations,” he said. “We need to understand it clearly that we have one economy. By lending to Belarusian companies we lend to Russian companies,” Pavel Borodin added. He is also in favour of the proposal to involve the Permanent Committee of the Union State in all bilateral meetings between Belarus and Russia. Pavel Borodin reported about his participation in a recent meeting of the agriculture ministers of Belarus and Russia. According to him, the two sides have difficulties reaching agreements on several things. “In principle they need to agree some five positions including price and volume parameters. Yet it was difficult to do it during the two-hour meeting,” he said. At the same time the decisions to purchase food in Brazil or, for example, the USA are taken easily,” Pavel Borodin said. A total of 28,000 Belarus and Russian enterprises is involved in interagency cooperation within the framework of the Union State, Pavel Borodin added. On May 7, in Prague, the Eastern Partnership Project (EPP) was initiated with the participation of Georgia, Moldova, Armenia, Azerbaijan, Ukraine, and Belarus. Perhaps reflecting a response to the concerns of several European leaders, Belarus was not represented by President Alyaksandr Lukashenka or Prime Minister Syarhey Sidorski, but by Deputy Prime Minister Uladzimir Syamashka and Foreign Minister Syarhey Martynau. Moreover, several EU countries, including France, Spain, and the United Kingdom, were not represented by their leaders, suggesting that either the meeting was not a high priority or that these countries had reservations about the process. In general, the meeting was exploratory, embracing issues such as energy cooperation, the creation of a free trade zone, adjusting laws to European standards, and exchanges on an academic and cultural basis. The European Union has allocated approximately 600 million Euros to the partners for various projects until 2013 (Polish Radio, May 7). The small amount, as well as the wording of the initial draft of the partnership, which deleted the words "European countries" with reference to the six countries, and replaced it with "Eastern partners" (Daily Telegraph, May 7), implies that the association may be initially limited in its scope. The role of Belarus is the most ambiguous of all the participants, and was referred to by several opposition leaders who were also visiting Prague as a "Trojan horse" acting on behalf of Russia (Belorusskaya Delovaya Gazeta, May 9). The newspaper Belarus' Segodnya (Sovetskaya Belorussiya, its former name is still on the masthead), Lukashenka's official mouthpiece, provided an in-depth report on Minsk's perception of the event. As well as the high-level meetings between the two Belarusian officials and EU leaders, it stated that there were numerous contacts and discussions with the aim of accelerating political links and promoting economic integration. The four key areas of concern are democracy, effective government, and stability; economic integration; energy security; and bilateral contacts. Belarus and the EU intend to create a large free trade zone, cooperate on an institutional basis, support free travel and visa liberalization without compromising security, and strengthen energy cooperation allowing for a secure and long-term transit route for resources across Belarusian territory. The newspaper also maintained that the political direction pursued by the EPP began with the fall of the Iron Curtain in 1989 (SB-Belarus' Segodnya, May 8). Martynau declared that an important issue for Belarus was the project of the so-called ninth Transit Corridor, which will provide a link between the Baltic and Black Seas, and entail a much higher level of EU investment in the long term. Martynau noted that Belarus has agreed to expand its connections with the European Bank for Reconstruction and Development and the European Investment Bank, and that both will have the right to open branches in Belarus (SB Belarus' Segodnya, May 8). Several opposition leaders met with the Czech Foreign Minister Karel Schwarzenberg, and there was a small protest against the policies of Lukashenka led by the leader of the Conservative Christian Party of Belarus, Zyanon Paznyak (www.naviny.by, May 7). Though supportive of closer Belarus-EU links, the Belarusian opposition leaders insist that it should be tied to the improvement of human rights in their country. The events in Prague coincided with a spate of new arrests in Minsk. On May 7, several hundred people gathered in the city center at Kastrichnitskaya Square bearing portraits of a former minister Yuri Zakharenka, who disappeared ten years ago and is believed to have been killed by the authorities, and political prisoners -the small entrepreneurs Mikolay Autukhovich, Yuri Leonau, and Uladzimir Asipenka, who were arrested in February and since denied contact with their families and the outside world (www.charter97.org, April 24). They were almost immediately targeted by interior ministry (OMON) troops and dozens of civilians were beaten, though they were not detained. Furthermore, the OMON troops arrived en masse in the city-center and began randomly questioning people, demanding to see their passports. Ostensibly, their goal was to prevent disturbances during Victory Day on May 9, when a festival of veterans was held with the participation of the president (Narodnaya Volya, May 9). The Victory Day events perhaps symbolize the gulf existing between the present Belarusian government and the EU. While Syamashka and Martynau were dealing with very contemporary problems, Lukashenka was emphasizing the country's Soviet past, making reference in a speech to veterans in Minsk to the 26 million wartime victims in the USSR. He emphasized that Belarus, having lost one in three of its residents during WWII, deeply values its independence as well as its links to Europe, Latin America, and the Near East (www.belta.by, May 10). There are just 49,000 veterans remaining among the population of 9.7 million (0.5 percent) (Narodnaya Volya, May 9). But they have become the apparent raison d'etre of the Lukashenka regime, now approaching its sixteenth year in power. Their attainments and presence in the country provide justification for why Belarus should be accepted for what it is and more importantly, why Lukashenka's survival is more important than issues of democracy and human rights. The events in Minsk on May 9 may also explain why Lukashenka decided not to go to Prague. Belarus is to continuously promote military cooperation with China, Belarusian President Alexander Lukashenko said here on Monday. Belarus highly values its comprehensive friendship of cooperation with China, Lukashenko said while meeting with General Chang Wanquan, chief of the General Armaments Department of the People's Liberation Army (PLA) of China. Promoting bilateral military relations is in the fundamental interests of both Belarus and China, he said. China has reached a high level of development not only in its economy but also in the area of military, he added. The development of bilateral military ties between China and Belarus has maintained a sound momentum in recent years, thanks to the support of the leaders of the two countries, Chang said. China is ready to work with Belarus to promote bilateral exchanges and cooperation on military equipment and technology to a higher level, Chang added. Chang started on Sunday a four-day visit to Belarus. There are no problems with the sale of Tor-M2 and Buk-M2 air defense systems to Belarus, with only technical issues under discussion, the head of the Russian state-run arms exporter said on Tuesday. "Today, major problems at the negotiations have been resolved and the issues are being discussed from the technical viewpoint. Price guidelines are being determined," Rosoboronexport chief Anatoly Isaikin said at the opening of the MILEX 2009 arms exhibition in the Belarusian capital. Isaikin also said the issue of the purchase of S-400 advance missile systems by Belarus from Russia was being discussed by an inter-governmental commission and no decision had been made. Earlier in May, Rosoboronexport department head Valery Varlamov pointed to complex problems in the negotiations on the purchase by Belarus of Tor-M2 and Buk-M2 air defense systems. He also said that the issue of the purchase of advanced Iskander and S-400 missile systems could only be resolved at the political level. Belarus announced in February 2008 its intention to purchase S-400 air defense systems from Russia as part of the modernization of its armed forces. The Tor-M2 (NATO reporting name SA-15 Gauntlet) is a low to medium-altitude, short-range surface-to-air missile system designed for intercepting aircraft, cruise missiles, precision guided munitions, unmanned aerial vehicles and ballistic targets. The Buk-M2 (NATO codename SA-17 Grizzly) is an upgraded version of the proven Buk-M1 mobile air defense system and retains its main features. It comprises a command post, a target acquisition radar, and up to 6 loader-launcher vehicles carrying four 9M38 ground-to-air missiles. The system has a target acquisition range of up to 50 km (31 miles), maximum target altitude around 25 km (82,000ft) and maximum target speed about Mach 4. The S-400 Triumf (SA-21 Growler) is designed to intercept and destroy airborne targets at a distance of up to 400 kilometers (250 miles), twice the range of the U.S. MIM-104 Patriot, and 2 1/2 times that of Russia's S-300PMU-2. The system is also believed to be able to destroy stealth aircraft, cruise missiles and ballistic missiles, and is effective at ranges up to 3,500 kilometers (2,200 miles) and speeds up to 4.8 kilometers (3 miles) per second. The Iskander-E (SS-26 Stone), which is an export version of the Iskander-M missile system in service with the Russian army, is a tactical surface-to-surface missile complex designed to deliver high-precision strikes at a variety of ground targets at a range of up to 280 km (170 miles). It carries a single warhead with a payload of 400 kg to comply with the limits laid down by the Missile Technology Control Regime (MTCR). The Communist Party of Belarus says it will change its name, RFE/RL's Belarus Service reports. The issue and possible new names will be discussed at a May 23 party congress. Belarusian Communist Party leader Syarhey Kalyakin said that the party decided to change its name because the majority of Belarusians no longer accept communist principles and that hinders the party's work. He added that the Communist Party does not plan to establish a communist society and his party wants to distance itself from the legacy of the Soviet Communist Party, namely from its repression against dissidents and the mass violations of human rights and democratic principles. Condition of the political prisoner makes impossible his staying in the pre-trial detention center. Mikalai Autukhovich, who has been on hunger strike for more than a month, is transferred to the Republican Hospital of the Ministry of Internal Affairs. The human rights center Viasna learnt this from Pavel Sapelka, lawyer of the arrested entrepreneur. “Today, when I was visiting Mikalai Autukhovich, he was told he would be transferred to the Republican Hospital of the Department of Corrections of the Ministry of Internal Affairs. It means that his condition has deteriorated making it impossible to that he could stay in the detention center, even in the medical unit,” Pavel Sapelka said. According to the lawyer, Mikalai Autukhovich continues his strike in spite of the difficult condition of health and is going to stop it only after his demands are fulfilled. Pavel Sapelka reminded that Autukhovich demanded changing measure of restraint or sending the case to court as soon as possible. According to the lawyer, there haven’t been any reactions to the demands of Mikalai Autukhovich: there were no responses to complaints and motions. It should be reminded that leader of entrepreneurs’ movement from Vaukavysk Mikalai Autukhovich has been in the pre-trial detention center since February 8, 2009 on charge of arson in 2005. Yury Lyavonau and Uladzimir Asipenka were also arrested on the same charge. Stating he is not guilty, he went on hunger strike on April 16. A hungry strike is the only lawful measure in prison to protest against lawlessness and arbitrary of investigative bodies, absence of prosecutor control over the process of the case investigation. It has been recently known that the investigation of the case of Vaukavysk businessmen was extended till June 3. Relatives of the political prisoners have received no permits for meeting over four months. Human rights activists consider the detainees to be political prisoners and turn attention to the fact that Mikalai Autukhovich and Yury Lyavonau were convicted before and recognized prisoners of conscience. Vitsebsk regional prosecutor’s office has submitted the lawsuit against the local human rights activist Leanid Svetsik to Vitsebsk regional court. No details on the trial are known yet. Leanid Svetsik has been accused of fomenting religious strife and libel against President Lukashenka. Mr.Svetsik does not admit his guilt, saying the prosecution is the result of his human rights activities. According to Young Front press-service, a YF member Nadzeya Pekraskaya was offered collaboration by a number of KGB agents during a conversation at the Journalists’ Faculty of Belarusian State University. ‘They said they would help solve all my problems,’ said Ms.Pekarskaya. According to www.regionby.org, thousands of non-Minsk students may be deprived of their right to higher education in case Minister of Education Aliaksandr Radzkou succeeds in his attempt to close down local offices of private universities. As a result, many of them would not be able to commute between their home towns and Minsk. 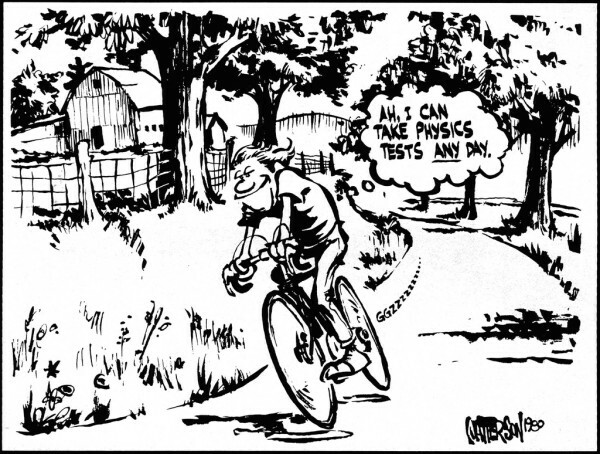 As yet, the Ministry of Education has not arrived at a final decision. Russia and the US have been holding the first of three days of talks in Moscow on a new treaty aimed at reducing their stockpiles of nuclear weapons. Senior diplomats need to negotiate a replacement for the Strategic Arms Reduction Treaty (Start I) of 1991, which expires on 5 December. The main sticking points are limits on the number of warheads and whether the treaty will cover bombers and missiles. Also on the agenda is Moscow's concern over US missile defence shield plans. Analysts say a successful outcome would be a boost for relations before a visit to Moscow in July by US President Barack Obama. Mr Obama and his Russian counterpart, Dmitry Medvedev, agreed last month to pursue a deal to replace Start I. The two-day negotiations began on Tuesday behind closed doors at a 19th Century foreign ministry mansion in Moscow and will continue on Wednesday as planned. The US team is being led by Assistant Secretary of State Rose Gottemoeller and include officials from the Pentagon and the US Department of Energy. Ms Gottemoeller, a Russian expert, held preliminary talks in Rome last month with Russia's chief negotiator Anatoly Antonov. A Russian foreign ministry spokesman said that both sides had agreed the talks would be discreet and that they would only release a joint statement at the end. Ahead of the meeting, Russian Foreign Minister Sergei Lavrov said he hoped the negotiations would be "fruitful", but warned that they would be linked to US plans to build an anti-missile system in central Europe. "We believe that the Start treaty cannot be discussed in a vacuum," he was quoted as telling Russian media on Monday. "It must reflect the issue of global security, which certainly includes Russia's, and this implies that we must sort out the situation on missile defence." The US says the missile defence system is intended to destroy incoming ballistic missiles fired by "rogue states", such as North Korea and Iran. Moscow has also said it would like to see a cut in so-called delivery systems, such as missiles, bombers and submarines, not just nuclear warheads - an area not covered by existing agreements. Meanwhile, the US is reportedly prepared to count only the warheads ready for launch, while Russia wants to count those in storage as well. The US also plans to swap nuclear warheads for conventional ones on some ballistic missiles. Russia says they would be impossible to differentiate. But both want the new deal to improve on the 2002 Treaty of Moscow, which will cut deployed warheads to between 1,700 and 2,200 on each side by 2012. Georgia and Russia resumed security talks on Tuesday after international mediators and a U.N. report helped nudge Moscow's negotiators back to the table, officials said. Delegations from Russia and the Moscow-backed rebel region of South Ossetia had withdrawn from the two-day talks in Geneva on Monday citing the refusal of another Moscow-backed rebel region, Abkhazia, to attend, due to a delay in a U.N. report. "The formal discussions have just finished," a U.N. spokeswoman said. "Everyone participated." A senior Georgian official in Geneva said that the closed-door discussions had lasted about 3-1/2 hours. In the report on the U.N. mission in Abkhazia, U.N. Secretary-General Ban Ki-moon said tensions between Georgia and Russia, who fought a brief war over South Ossetia in August, were weighing heavily on the region, an important transit territory for Western gas and oil deliveries to the West. Talks to date had helped to maintain a "relative calm." It cites the official title of "United Nations Observer Mission in Georgia" but otherwise skates round the sensitive question of whether Abkhazia is part of Georgia or not. "I hope that these efforts can lead to the establishment of a more stable security regime in the area," Ban said. It is the fifth session between Russia and Georgia since September. 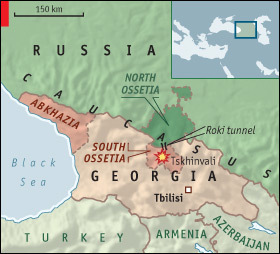 Tensions remain around areas of South Ossetia and Abkhazia, particularly Akhalgori in South Ossetia and the Kodori Gorge and Gali regions of Abkhazia. The U.N. deploys 129 military observers, drawn from 30 states, and 16 police officers in Abkhazia. Ban's report recommended that security zones with no armed forces or military equipment be enforced for 12 km (8 miles) on both sides of the ceasefire line, and restricted zones with no heavy military equipment for another 12 km on each side. He also called for regular U.N. monitoring of conditions in the Kodori valley and regular meetings between Russian and Georgian officials to maintain calm and stability. The chief of staff of Ukrainian President Viktor Yushchenko has resigned in protest at his decision to run for re-election early next year. 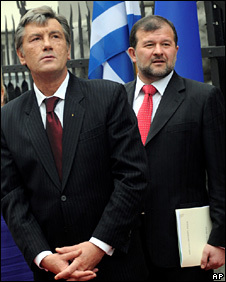 Viktor Baloha accused Mr Yushchenko of failing to honour the promises he made when he came to power in 2004 in what became known as the Orange Revolution. The president was "irretrievably wasting the time" of voters, he said. Mr Baloha also attacked Mr Yushchenko's rival, Prime Minister Yulia Tymoshenko, saying she too should quit politics. Ukraine has been in the grip of a paralysing political crisis centred on the rivalry between Mr Yushchenko and Ms Tymoshenko, his former ally. In an interview on Tuesday, President Yushchenko said that he had agreed to Mr Baloha's departure because he wanted new staff for his re-election bid. "This is a timely refresh," he told the newspaper, Delo. "An election campaign is ahead and it is obvious that a part of society would like to see new people, new tactics, new relations." But Mr Baloha reacted angrily to the comments, saying he was convinced that Mr Yushchenko had "no moral right running for president". "At least I won't be your companion in this," he said in a statement. Mr Yushchenko's former chief of staff said had failed to keep the promises he had made before coming to power in January 2005, three months after mass protests at the fraudulent victory of a pro-Moscow candidate, Viktor Yanukovych, in the original election. "None of the systemic reforms was implemented. Corruption and nepotism in power, double standards in taking state decisions have become usual things. It is a shame to realise that you have done nothing to cleanse power," he said. "You do not care that your inner circle corrodes power and the state. When I used to inform you about incontrovertible truths, you pretended that you did not hear," he added. Correspondents say such high-profile accusations highlight the depth of the political crisis in Ukraine. orruption scandal in Polish football continues. 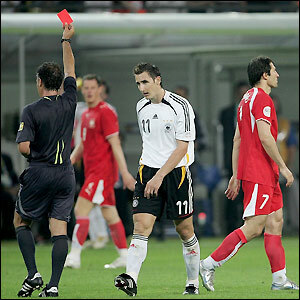 Referee Janusz Z. from Opole, southwest Poland, has been arrested by the Central Anticorruption Bureau. Last week, two other suspects: a former Gornik Polkowice football player, Radoslaw J., from Wroclaw and a First Division player, Marcin S., from Lublin were detained. The investigation into corruption in Polish football has been underway since May 2005. So far, the Prosecutor’s Office has charged over 200 people: referees, coaches, players, officials and members of the Polish Football Association for fixing matches. Among the suspects are: a former national team coach Janusz W., a famous referee Grzegorz G., a former football player Dariusz W., a coach Andrzej B. etcetera. In April 2009 a former chairman of the team Arka Gdynia Jacek Milewski was sentenced to four years in prison and Ryszard Forbrich, alias Fryzjer, a member of the Polish Football Association, to 3,5 years in prison on corruption charges. Ukrainian railways are closing down lines to Poland as smugglers keep taking the trains apart to hide the contraband. The Ukrainian Minister of Transport Josyp Winski has made a dramatic appeal to Ukrainian smugglers, asking them not to destroy another train running to Poland. “Recently we have put into motion brand new rolling stock but smugglers destroyed it in a week,” complained Winski at a press conference in Lviv. Smugglers have always been a serious burden for Ukrainian railways. Every day Ukrainians smuggle cigarettes and alcohol into to Poland. In order to hide contraband from customs officers they take trains to pieces, dismantling seats and other fixtures. 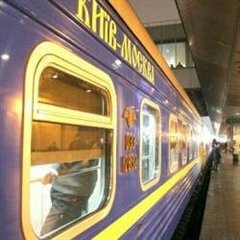 Because Ukrainian trains going to Poland have to be constantly renovated, it is not profitable for Ukrainian railways to keep connections open. In 2007 they closed down Lviv to Przemysl line. Now the Lviv to Krakow connection is in danger of being closed. According to crime branch sleuths, as soon as they get an extradition order from the additional chief metropolitan magistrate, New Delhi, the CBI will take Polish national Adam Mancic to Delhi for extradition. Mancic was arrested on March 14 under Section 41 (1) (g) of CrPC by crime branch sleuths based on an arrest warrant issued by Tiergarten magistrate, Germany, through Interpol, New Delhi, against Mancic for shooting dead a businessman in Germany on November 3, 2008. He was staying at a German national's house in Pernem at the time of arrest. After his arrest, the police also searched the house in the presence of a German police official. The German court had issued the arrest warrant as Mancic was charged with murdering businessman Friedhelm Sodenkamp. 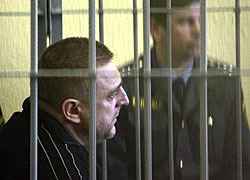 The German police investigations had revealed that one person, Torsten Lesting, offered him e25,000 to kill Sodenkamp. Thus, the accused on November 3 at 7.23pm approached the victim who was as usual walking his dog at Berlin and with an intention to kill the accused fired three shots from the pistol he was carrying, said police sources. Sources said that one shot hit Sodenkamp on the left side of his head, between his cheek bone and ear, resulting in brain damage and fracture of the skull. Another shot in the back penetrated his lungs and heart, which caused the victim internal and external bleeding leading to his death at the scene and the third shot didn't penetrate the body of the victim, said sources. Cops said that he will now be produced before the additional chief metropolitan magistrate, New Delhi, and the Polish national can then effectively contest the extradition request. "We have been told that the government has already initiated action under the Extradition Act to extradite Mancic to the country were he has to stand trial for committing murder," added police sources. Belarusian sprinter Ilona Usovitch married pole vaulter Igor Alekseev at a ceremony in Minsk this weekend. The happy couple exchanged vows in the presence of family members and close friends largely from the athletics family at the Central Botanical garden in the Belarusian capital. Together with Natallia Solohub, Anna Kozak and sister Svetlana Usovitch, IIona won the silver medal in the 4x400 metres relay at the 2004 IAAF World Indoor Championships. She finished fourth in the 400m at the 2005 European Indoor Athletics Championships. Usovitch then steered the Belarusian team to a 4X400m bronze at the 2006 IAAF World Indoor Championships. The 26-year-old also featured in the team that won silver at the 2006 European Athletics Championships in Gothenburg. The next year she won an individual silver in the 400m and a gold medal with the 4X400m relay team at the 2007 European Athletics Indoor Championships. Alekseev is a Pole Vault specialist with a personal best of 5.65m. "The emotions involved in marriage cannot be compared with anything else. To me this medal matters more than anything else," said Usovitch. On a question about which country the newly-wed couple will choose to settle down in, Alekseev said, "It will be 50-50. We will live half the time in Belarus and the rest of the time in Russia. It is necessary to distribute our time in the two houses." Illona's elder sister Svetlana congratulated the newly-weds and commended her sister for the decision to tie the knot. Since 1997 some 3,240 foreign citizens have applied to migration agencies of Belarus for the refugee status, Sergei Kasinsky, deputy chief of the refugee office of the citizenship and migration department of the Interior Ministry of Belarus, said during a seminar for migration in the Republic of Belarus in Brest. Some 807 people have been recognized refugees in Belarus. Over 70% of them (566 people) are natives of Afghanistan. Georgians (132) rank second. Among refugees there are citizens of Palestine, Iran, Cameroon, Tajikistan, Ukraine, Russia, Estonia, Latvia and others. Since 1997, 182 people have lost the refugee status. Seventy-six of them have integrated into the local community (have spent seven years in Belarus and acquired citizenship). Sergei Kasinsky also reported that nearly 100 foreigners apply annually to the migration agencies of Belarus for the refugee status. Four outreach centres providing temporary housing to migrants have been recently set up in Belarus with the assistance of the UNHCR Office in Belarus, he added. They are at the National Airport in Minsk, in Brest, Vitebsk and Gomel. These centres provide a sufficient amount of space to house people waiting for a decision of the migration bodies of Belarus.